Dreams about death are a very common theme at bedtime. If you or a loved one have been covering this ground at night, you may have questions about what it all might mean. As part of a Huffington Post series on dreams and their meanings, we spoke to Jeffrey Sumber, M.A., M.T.S., L.C.P.C., a psychotherapist and author in Chicago, to get expert advice about the meanings of your or your loved one’s dreams about death. Note: While dream analysis is highly subjective, this post might provide some insight into why this dream occurred or is recurring. What do dreams about this subject mean? According to Sumber, dreams about death often indicate "the symbolic ending of something, whether that's a phase, a job or a relationship." He suggests that a dream about death can also indicate attempts to resolve anxiety or anger directed toward the self. "It does not, however, suggest that [a person] will actually die imminently," Sumber notes. What can I learn about myself from dreams about death? "Like all dreams, death-related dreaming is an opportunity for introspection and growth," explains Sumber. He adds that a person can ask herself if she is anxious about something or angry at herself or someone else. "I can potentially learn that part of me is not at peace with the notion of my own death or the ending of something big in my life," says Sumber. "I have the opportunity to look within, take stock of myself and make adjustments as needed." Are there any tricks to avoiding or inducing dreams about this subject? "There really aren't any tricks" when it comes to avoiding or inducing dreams about death or any other subject, says Sumber. "Dreaming is the way our unconscious self moves across the threshold of time and space into conscious awareness," he clarifies. "We dream in order to learn about ourselves and develop undeveloped elements of our personality. The only way to avoid anything from the unconscious is to do our inner work and make peace with it." Beyond analysis, what cultural symbolism can be found in dreams about death? "The majority of human beings are relatively unsure about their own death," says Sumber. Most people "wonder when it will happen, if it will hurt, and what will occur afterward. Thus, our psyche is constantly working these dilemmas out through our waking as well as subconscious experiences." Sumber posits that many people live with an underlying anxiety about death -- dreams about death, then, indicate the attempts of the unconscious to bring that fear to consciousness. Who tends to have dreams about death most frequently? People who have dreams about death tend to be those who are entering or exiting an uncertain phase or period in their life. It could be a potentially life-changing event that creates anxiety and fear of the unknown. How do you explain the myth that death in a dream predicts imminent death in real life? "This is a very classic pop culture myth!" Sumber exclaims, adding that it is true "in The Matrix, but not true in our current existence." The reality, he says, is that "we don't really understand what happens to us after our bodies die, [so] dreams about death typically end abruptly before or after the point of impact -- when the shark bites us in half or the gun is raised to our head. The mind's computer just doesn't have enough data to complete the simulation." 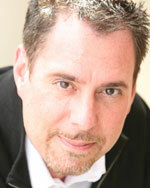 Jeffrey Sumber, M.A., M.T.S., L.C.P.C., is a psychotherapist and author living in Chicago. He holds master's degrees in theological studies from the Harvard Divinity School and in transpersonal psychology from Southwestern College. He has also taken specialized courses in dream interpretation at the Jung Institute in Zurich, Switzerland. In addition to teaching psychology at National-Louis University in Chicago, he has served as a licensed clinical counselor for more than 10 years.